Cook up your very own Migas recipe for breakfast in under 20 minutes! This quick and easy migas taco recipe is made with eggs, salsa, onion, jalapeno and corn tortilla chips for a truly authentic Tex-Mex breakfast taco like the ones you know and love from Austin, Texas! Having lived in San Antonio for 4 years I got a little spoiled when it comes to Mexican food. If a restaurant does not make their own flour or corn tortillas it is normally a HUGE disappointment. And then we discovered Veracruz food truck. They make their corn tortillas from scratch, their tacos with love, and it was the ONLY migas recipe I had found that rivaled my own. (Which you lucky son-of-a-gun will find below!) They seriously have the best breakfast tacos in Austin! 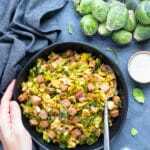 But no worries if you do not plan on visiting Texas anytime soon, this migas recipe is JUST as good as those mentioned previously! 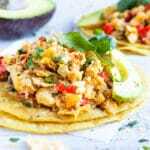 Below you will learn what are migas, how to make migas, what ingredients you will need, different substitutions you can try, and the best way to serve, store and reheat this easy breakfast taco recipe. 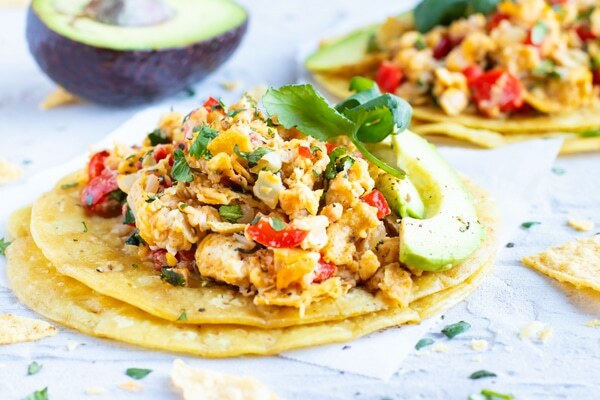 Migas are a Tex-Mex breakfast recipe made up of corn tortillas or tortilla chips, tomatoes, eggs, onion, peppers or chiles, and oftentimes cilantro, cheese, and avocado. 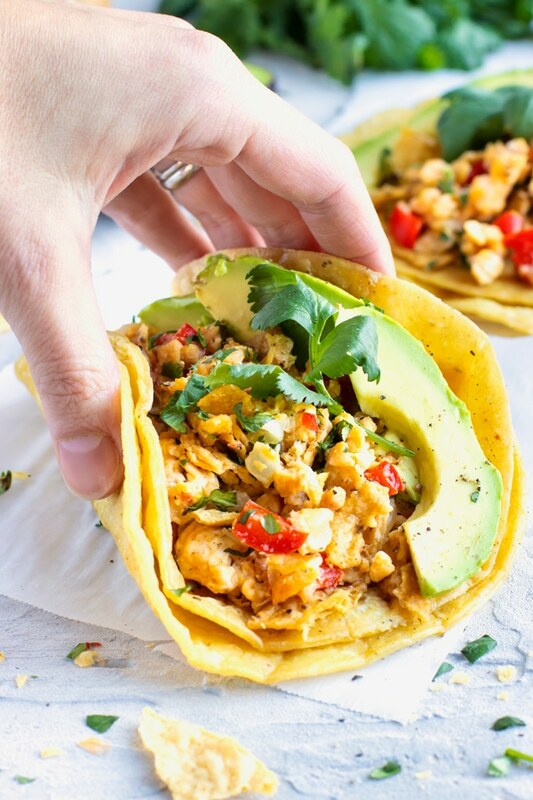 Migas means “crumbs” in Spanish and refers to the process of using almost stale corn tortillas or tortilla chips to make this easy breakfast taco. Sauté finely diced onion, bell pepper, and jalapeño in a touch of olive oil in a non-stick skillet until the vegetables become tender. Add whisked eggs to the skillet and scramble until almost cooked through. 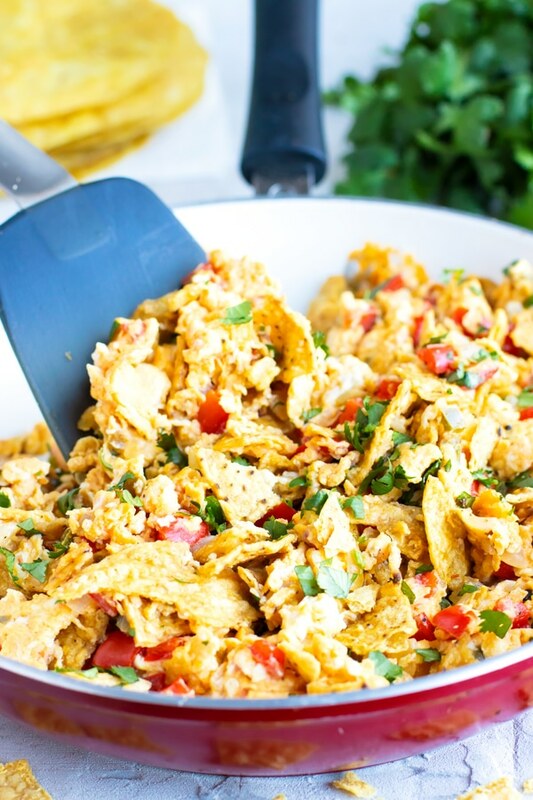 Crush tortilla chips and add to eggs with chopped fresh cilantro and stir until just combined. 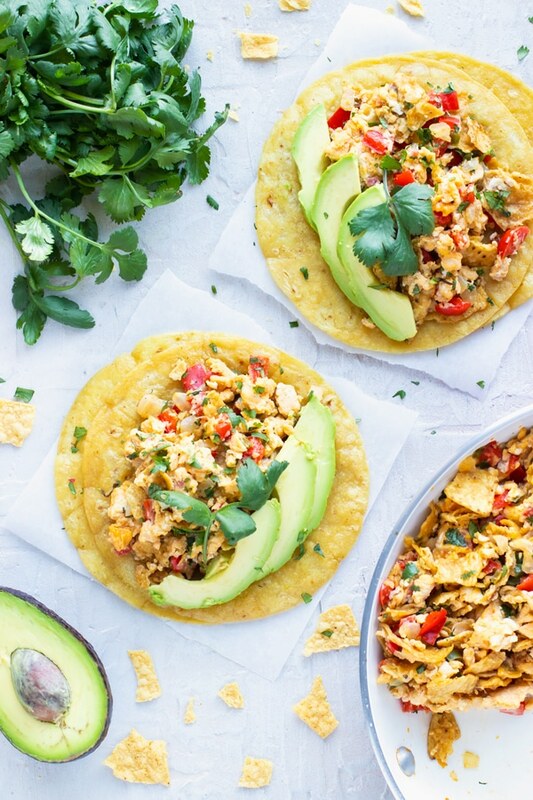 Optional: Serve migas in toasted corn tortillas or flour tortillas with chopped cilantro, tomatoes, and sliced avocados. 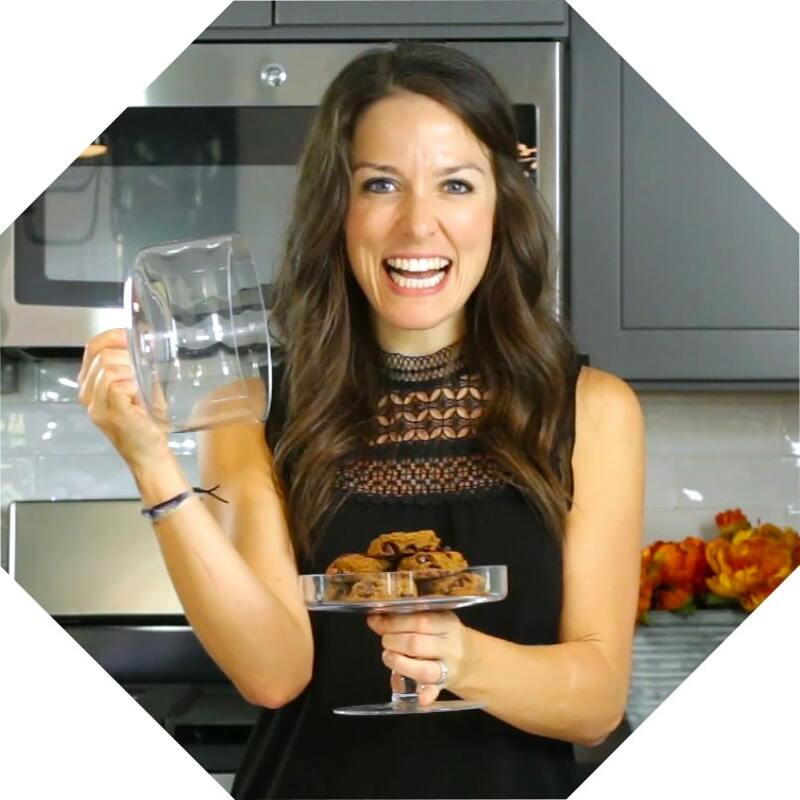 Cook’s Tip: How much salt you add depends TOTALLY on the type of tortilla chip you are using. If it is a really salty chip, err on the side of not adding much salt and then adjust to taste when serving. Red bell pepper – Feel free to use a yellow or green, instead. 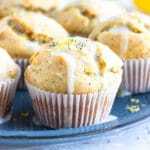 Jalapeno – Not a fan of spice? You can totally leave it out. Salsa – Below you will see that medium salsa is used. 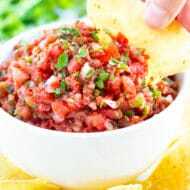 If you do not like spicy food, substitute it for mild salsa. 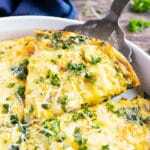 Cilantro – If you do not like cilantro at all (like, you get that soapy taste!) then you can leave it out. However, I find that this is what makes these migas uniquely awesome! 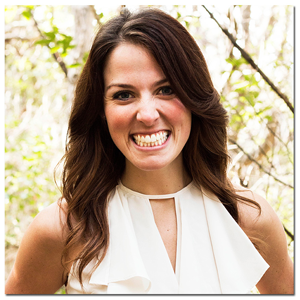 Tortilla Chips – Try to find an extra thick and crunchy tortilla chip for the best results. Corn Tortillas – These are my personal fave and the way you will find migas tacos served 99% of the time here in Texas. However, feel free to use Paleo or other gluten-free flour tortillas, instead. 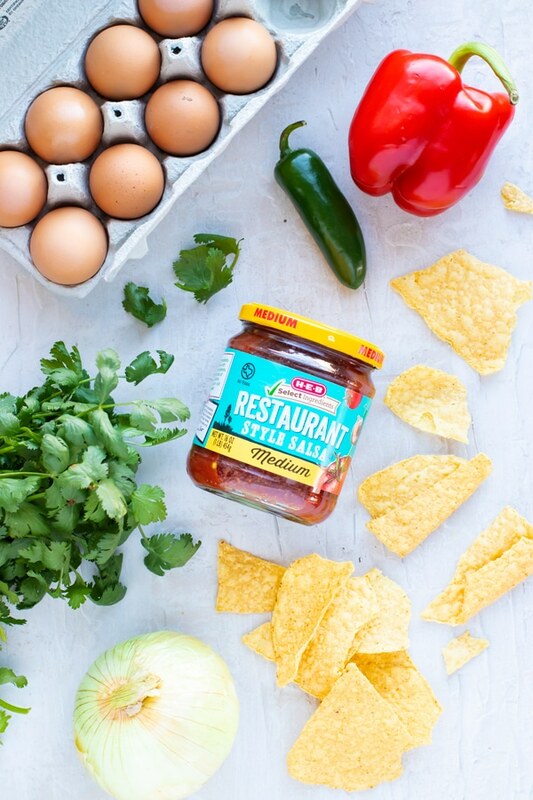 Cook’s Tip: All of the ingredients you see pictured above and below are the exact brands I use when making this easy migas recipe! 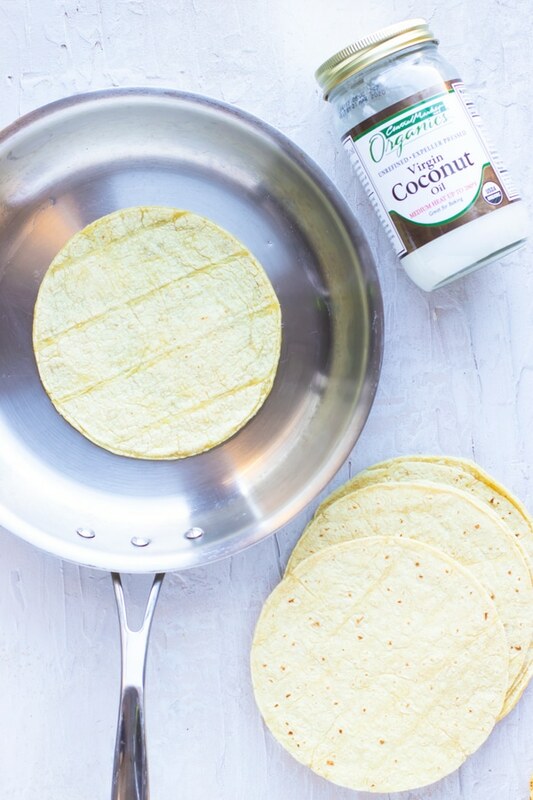 Have you ever tried tossing your corn tortillas in a touch of coconut oil before serving? 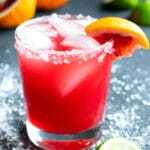 Not only does this soften up the tortillas (making them extremely pliable!) but it also gives them an incredible flavor. 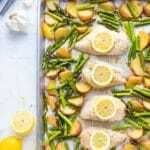 To do this simply heat a large skillet over medium heat and add 2 teaspoons of coconut oil at a time. Add 2-3 tortillas and heat for 30-60 seconds per side. Drain tortillas on a paper towel-lined plate and repeat with remaining tortillas. 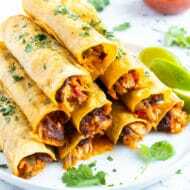 You can use this method to make these Salsa Verde Chicken Enchiladas here! As mentioned previously, this migas recipe tastes great on its’ own, but even better when served up in taco form. The best way to serve these migas tacos is in corn tortillas. 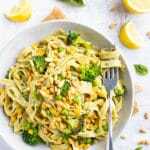 Add toppings such as fresh cilantro, diced tomatoes, a sprinkle of cheddar cheese, and a few avocado slices. Voila! You’ve recreated the exact taco found at the best Austin food truck. Have a bit of leftovers? No problem! Actually, that’s great! One of my favorite things to meal prep for the week is breakfast tacos. Simply assemble your tacos as if you were about the eat them (leaving out the avocado and tomatoes, of course! 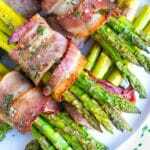 ), wrap them in a bit of aluminum foil or parchment paper-foil, and store for 2-3 days in the refrigerator. Reheating Migas Eggs: If you just have the migas eggs you can add them to a skillet with a touch of oil, cover them, and heat on low heat for a few minutes. 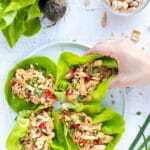 Reheating Migas Tacos: If you want to reheat your migas tacos that have been wrapped in foil then preheat your oven or toaster oven to 325 degrees and warm up your tacos for 10-15 minutes. Want more recipes like this Migas recipe? This quick and easy migas recipe is made with eggs, salsa, onion, jalapeno and corn tortilla chips for a truly authentic Tex-Mex style breakfast taco. In a medium-large non-stick skillet over medium heat add oil, onion, bell pepper, and jalapeno. Saute for 5-6 minutes or until onions are translucent. 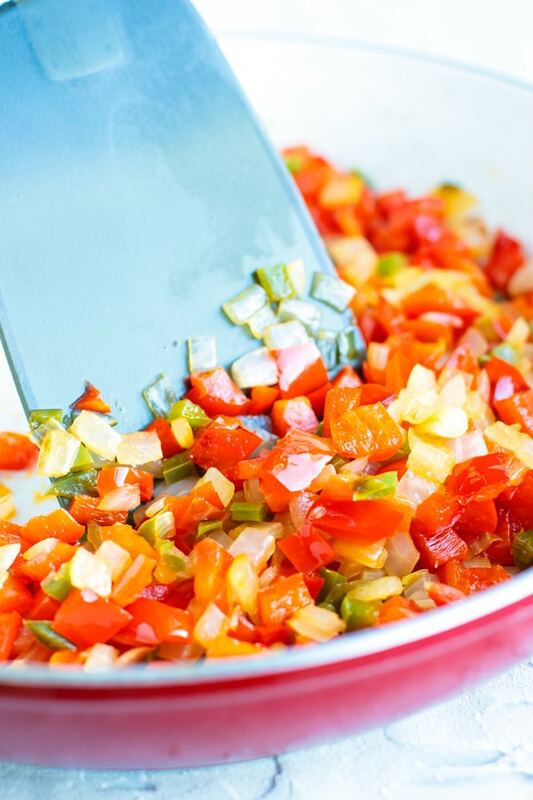 While vegetables are cooking, whisk together eggs, salsa, salt, and pepper in a medium-sized bowl until well combined. Once vegetables are done cooking, increase heat to medium-high and add eggs to the skillet. Cook eggs while stirring occasionally for 1-2 minutes. Just before eggs are completely done cooking, decrease heat to low and add tortilla chips and cilantro. Stir them in until just combined. Serve migas in corn tortillas that have been heat up in coconut oil over medium heat (optional) for 30 seconds per side. 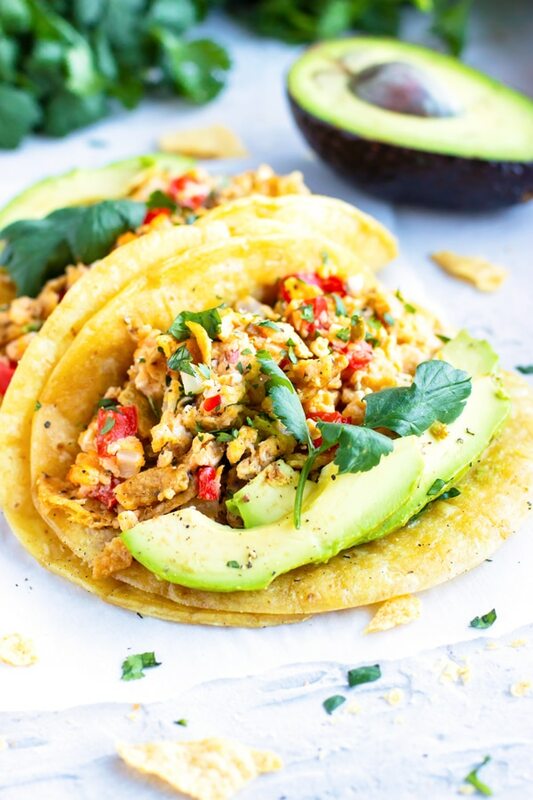 Top migas tacos with additional cilantro, chopped tomatoes, cheese, and avocado slices. Enjoy! How much salt you add depends TOTALLY on the type of tortilla chip you are using. If it is a really salty chip, err on the side of not adding much salt and then adjust to taste. Try to find an extra thick and crunchy tortilla chip for the best results. Nutrition facts are calculated for 1 taco with corn tortilla heated in coconut oil and no toppings.